Walli Höfinger is an austrian performance artist, voice performer and Roy Hart Voice Teacher based close to Berlin. She works equally solo and in different formations together with artists of other fields in interdisciplinary projects. She originally studied “New Artistic Media” with Ulrike Rosenbach in Saarbrücken, parallel she started working in the contemporary dance field. Since then develops her own original work focusing on movement/acrobatics, video-installation, composition and voice. Since 2009 she is an approved Roy Hart Voice Teacher (Malérargues, France) and regularly teaching voice-workshops in Germany and all around Europe. 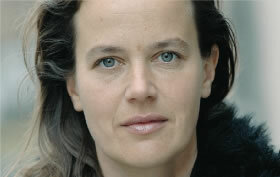 Christiane Hommelsheim is vocalist, voice performer, improviser, videomaker and voice teacher. In her artistic work she is researching the particularities and possibilities of her own voice in the system of connections between voice, body and consciousness. Since 2010 she is a Roy Hart Voice Teacher, certified by the “Centre Artistique International Roy Hart” in France and teaches regular workshops in Germany, Belgium, Austria and France. 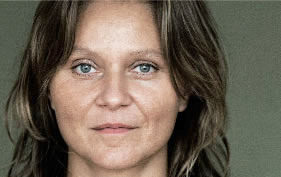 She is also teaching individual classes in Berlin and occasionally does vocal coaching for theater and dance productions.